Have you ever been to the Great Wall of China? I have been to China a few times to visit factories for footwear and handbags, but I have never been there as a tourist. I have been to Hong Kong several times but I have never really been there as a tourist. 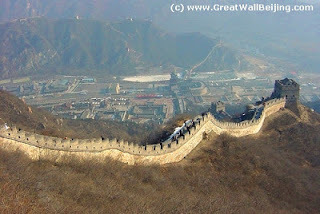 When you are a tourist you see interesting places, like the Great Wall of China. When you are in a city or country for business, you just go from office to office to factory. All the meals are with vendors and factory suppliers, you never really see anything cool. The last time I went to Hong Kong I just met with suppliers the whole week, the high light of my trip was a massage at the top of the hotel in the spa. It cost like $200 and was the best massage I have ever had. The hotel still sends me coupons for the spa via email..even though I will probably never stay there again..it was some hotel in Mong Kok, Hong Kong. I have been a handbag designer for over 10 years. Do you want to start your own handbag or fashion line? Do you need help? Not sure where to start? My team and I have been helping start up brands for the past 5 years. We can help you with anything from designing a logo to what factory to use to produce your goods. We specialize in handbags, belts and fashion accessories. Our consulting fees start at $75.00 per hour on up. We know how difficult it is to start up a fashion line. With our combined experience we can help you avoid the pitfalls of starting up a line and guide you in the right direction. Our affiliate handbag brand Chelsey Henry which is also a partner of Rocco e Dante is have an online store wide sale - everything is 50% off. Warehouse sale! Here is a link to some of Rocco e Dante's best deals!